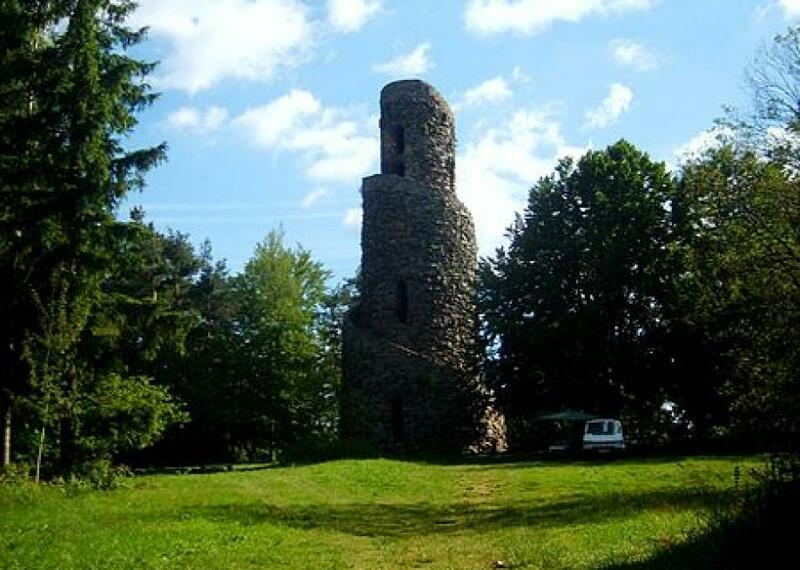 The Spirálovitá Rozhledna (“Spiral Lookout”) in Krásno is one of the most unusual lookout towers in Czech Republic, a country with no shortage of lookout towers. Situated 777 meters above sea level, this twisty tower offers not just a beautiful view of the surrounding area but also some unique architecture. During the economic crises between 1933 and 1935 the village of Krásno wanted to provide work to it’s citizens and attract people to town by building an observation tower. Legends tell that the designers—local sculptor Willy Russ and the local architect Fritz Hoffmann—had been inspired by the story of the Tower of Babylon. A staircase with 120 steps leads up the tower, arranged spirally around the outside of the tower. The work was done by unemployed citizens of Krásno only. To save money the stone used for construction was collected in the near area. Up until the end of WWI, Krásno was called “Schönfeld” and was part of the Austrian-Hungarian Empire. With the expulsion of German-speaking people from the Czech Republic after the war, the population diminished greatly and the view tower was not tended to. It slowly decayed, until 1997 when it was renovated and partly reconstructed. During the renovations porcelain plaques were added on top of the tower, explaining what can be seen. The tower offers great views in far areas around the year. Many events are organized around the tower by the people of Krásno during the year, among them a traditional burning of an effigy of witches.